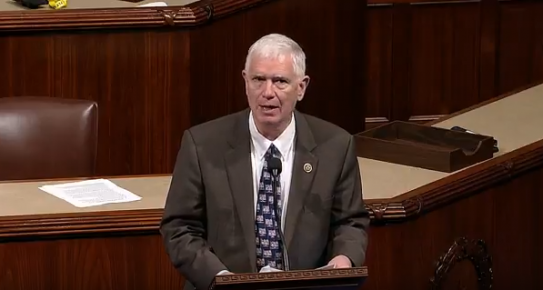 (Joshua Paladino, Liberty Headlines) Rep. Mo Brooks, R-Alabama, testified Thursday before the House Oversight and Reform Committee to defend citizens against disenfranchisement caused by illegal aliens being included in the census. Brooks spoke in favor of allowing the Department of Commerce to include a citizenship question on the 2020 census that would prevent some states from overrepresentation on the basis of their vast illegal alien populations. Counting illegal aliens for the census rewards states such as California, New York, and North Carolina that disregard federal law. Brooks joined the State of Alabama in a lawsuit, filed in the U.S. District Court for the Northern District of Alabama, to challenge the Census Bureau’s policy of counting illegal aliens for purposes of reapportionment. The Supreme Court will hear a case about citizenship question before the 2020 census.